This is the text of a speech I delivered to a sold out crowd at the Econonmic Club of Canada on the 1st of November 2016. It is much longer than my usual posts, but then the issues at stake are in some respects deserving of the additional words. This is also an edited and expanded version with sources for quotes and references included. The Economic Club of Canada, which is where I spoke, has earned the prestigious reputation as Canada’s “National Podium of Record”. In the last two years the ECofC has welcomed reputable names such as Ontario Premier Kathleen Wynne, Canadian Heritage Minister Melanie Joly, Toronto Mayor John Tory, Ontario Finance Minister Charles Sousa and the Chair of President Obama’s Global Development Council Mohamed El-Erian. 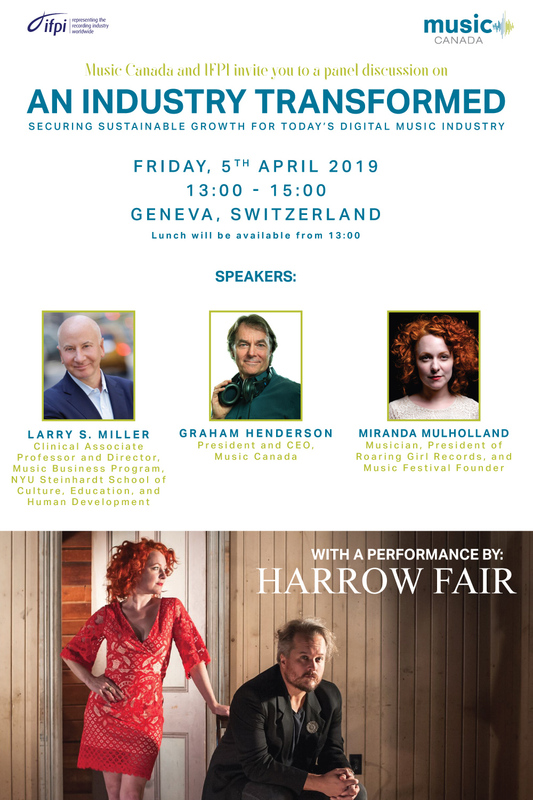 The ECof C mission is to “educate, inspire new ideas and connect our members with the most influential leaders of our time.” Having been offered an opportunity to address the Club on cultural issues at a critical juncture in the history of the creative sector was an honour. 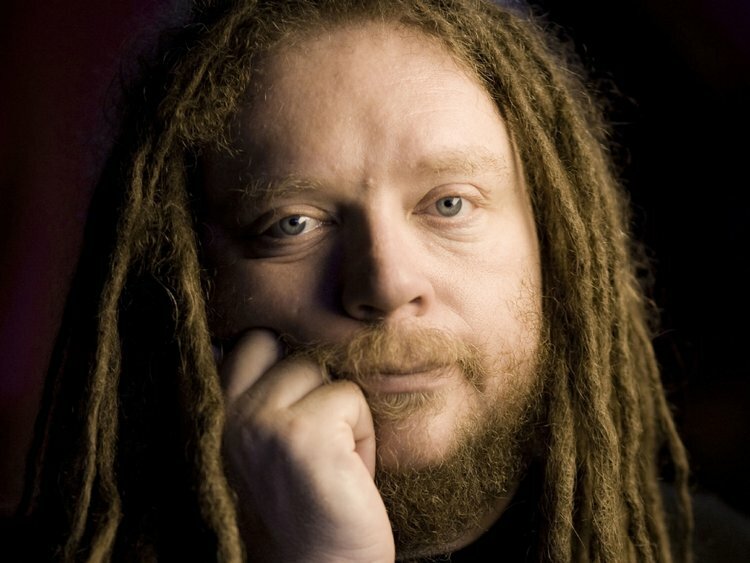 Back in 2003, a famous Canadian recording artist had this to say when he was asked about his prospects in the new digital economy: “we are entering a golden age……a golden age.” This was an idea embraced by artists, the media, pundits, professors and most importantly, policy makers around the globe. The reason for this heady optimism was the seismic events which were then unfolding in the online distribution and consumption of creative content. Peer-to-peer file sharing had become the default way for people to access virtually unlimited music for free, and the iPod had taken mobile digital music into the mainstream. The artist who praised the unfolding of this golden age believed that the digital era would usher in a utopia for both musicians and the consumer. Artists would gain access on the Internet to a larger audience than ever before, and in return for the collapse of their traditional marketplaces, they would make more money from the sale of concert tickets, merchandise and other means. This was an epic leap of faith with virtually everything riding on one thing – the promise of digital technology. The passage of time has instructed us that we might have benefited from a judicious skepticism, that we might have done well to have questioned the extraordinary promises and prognostications that were being made at the time. Had we done so, I wonder if the world in which we now live would have the characteristics that it does – a world in which the creative middle class, within the span of a single generation, has virtually ceased to exist. A world in which artists struggle more than ever before to earn a living wage and put food on the table. As they transition to the world of the self-employed “entrepreneur”, they are working longer hours and are sometimes engaged in activities for which they have little aptitude, such as data entry clerks – all for scandalously less money. Here in Canada, our creators, the people who build our nation’s cultural foundation and much of the intellectual property we export – are struggling, and along with them the people and businesses who support their work are struggling. Well paid jobs with benefits are disappearing and being replaced by precarious employment. Culture today, more than at almost any time in our history, is dependent on the largesse of the government. Today I want to question that supposition. The idea that we cannot change the circumstances in which we live seems to be, dismayingly, widely held. I believe this outlook is founded on a sort of market-driven, hyper-capitalism, a debased and absolutist form of economic, technological determinism. Ayn Rand would love this; it is a sort of libertarian fantasy: the market determines how we live our lives and governments need to get out of the way – and that means us, the people. But let’s remember that we live in a social democracy – we live in a place where the people, not corporations, and not plutocrats, get to decide how to order their lives. We must (and I include our government policy makers here) harness our imaginations. We cannot look at the world and see it only as it is. We have to be able to see it as it might and should be. And frankly, creators are really good at doing that. This was the skill that Percy Bysshe Shelley would have had us all learn. Creators for centuries have fought and in some cases died to change the worlds in which they lived. Oppressive forms of employment were ameliorated and tyrannical regimes were overthrown. In the case of Canada, an opposition politician named Tommy Douglas, (who famously stated, “Courage, my friends; ’tis not too late to build a better world.”) set out to change the public morality as a method of forcing the government of the day to adopt universal health care – he succeeded. 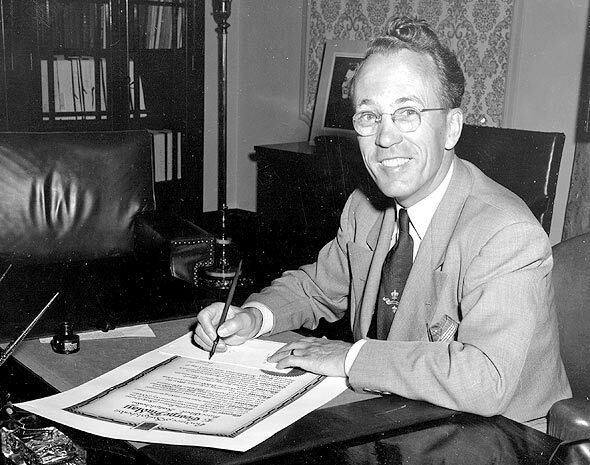 Tommy Douglas, leader of the New Democratic Party pictured in 1953. The people demanded change. People got change because because they decided that they wanted to live in a better world – a world hey were prepared to fight for. We are inheritors of this great tradition. And we can deploy it to restore the balance. Minister Joly, for example, as part of her cultural consultations, has asked us to think outside the box, to be bold and to think big. Well, one way to do that is to ignore the conventional wisdom that tells us: this is the way it has to be. And that is what I hope to do today. But first, let’s look at how we in the creative community got to where we are today. The foundation for most of the rules and regulations which govern our modern digital environment are two treaties adopted by the World Intellectual Property Organization in 1996: The WIPO Copyright Treaty and the WIPO Performances and Phonograms Treaty. To help us better appreciate the magnitude of the task the negotiators of those treaties faced, we need to understand what the world looked like at that time. This was a world in which digital technologies – and their adoption by consumers – were in their infancy. In 1996, less than 1% of the world’s population was online. If you were one of the few, it was via a dial-up modem that delivered websites at the rate of 30 to 60 seconds a page. You searched the 100,000-odd websites using AltaVista or Yahoo – Google wouldn’t launch for another two years. In 1996, email had yet to surpass the U.S. Postal Service in terms volume of messages delivered. Alanis Morissette’s Jagged Little Pill was the world’s top selling album – though fans were more likely to purchase it from a mail-order club than an online retailer. After the adoption of the WIPO treaties, it would be a full two and a half years before Napster appeared. It was four and a half years before the introduction of the iPod (2001), six years before the advent of the Blackberry “smartphone”, eight years before the first video was uploaded to YouTube and over a decade before the first song was streamed on Spotify. The people setting the rules for our world were well-intentioned and clever; but the reality is that they were guessing. Now there is nothing wrong with guessing. We all make educated guesses on which we base our actions. But the beauty of our world is that with the passage of time and the accumulation of experience, we have the luxury of reassessing our situation, and adapting our behaviours when those first guesses clearly turn out to have been ill-founded. We have now had 20 years of experience with those early WIPO guesses. How are we doing? (3) recognize the need to maintain a balance between the rights of authors and the larger public interest. These are laudable goals. But very clearly everything would come down to the question of balance. If balanced correctly, the new rules would supercharge the digital marketplace – a boon to both creators and the public. But very quickly, fissures began to appear. Technology advocates and so-called intermediaries argued that in order for the new technological infrastructure to get off the ground, creators were going to have to give up something to get something. What they would give up would be copyright payments that would otherwise have been required under the pre-WIPO rules: exceptions would be created. In return, creators would benefit from a larger, more diverse marketplace. So-called “middle men” would disappear. All manner of economic miracles would take place. It would be win-win. So when the first major country to implement the WIPO Treaties, the US, did so in 1998, the intermediaries and other technology companies insisted on a quid pro quo: a series of “safe harbours” from liability. These safe harbours were codified in the Digital Millennium Copyright Act, and subsequently served as a template to legislators around the world. Almost every exception excused someone from making a payment to a copyright owner that they would otherwise have had to make. But there was also a social quid pro quo that was articulated over and over and over again: creators would be better off. In my view this amounted to more than a bargain, more than an article of faith: it was a social contract. A bargain which very quickly turned Faustian; a social contract that is now in a shambles. 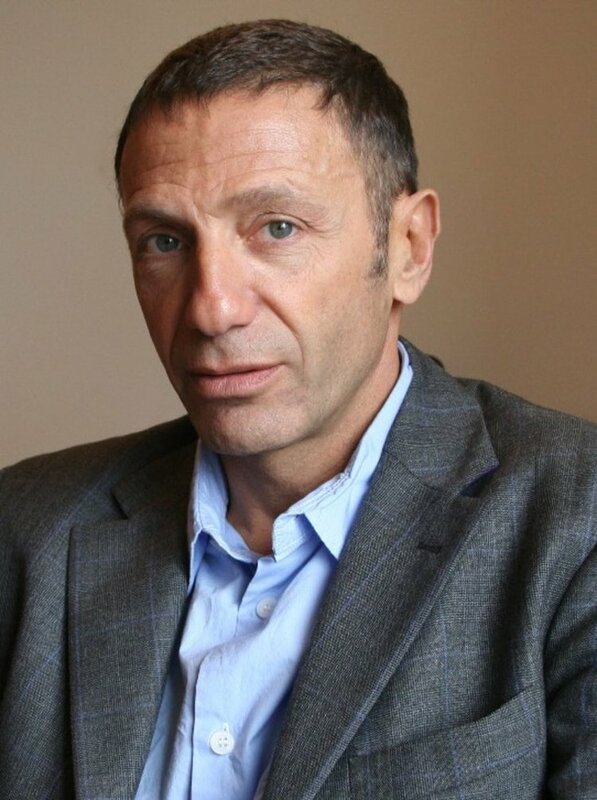 The French economist Olivier Bomsel was among the first to call this arrangement out for what it was – a massive system of cross-subsidies. By foregoing money otherwise payable to them, the creative community would subsidize the development of the technology infrastructure. Up to this day, much of the policy-making regarding copyright law continues to be driven by the popular mythology that digital technologies and platforms produce lucrative new opportunities for the creative economy. Until very recently, however, the hypothesis that digitization and the Internet would unleash a Golden Age for the creative economy had not been adequately put to the test. Music Canada decided to address this information gap by commissioning an independent analysis to measure the impact of digitization on the creative economy. The author of this study is Dr. George Barker, Director of the Centre for Law and Economics at Australian National University, and currently a visiting fellow at the London School of Economics. His paper examines the data on the effect of digitization and the Internet on among other things, Canadian music industry sales. The answer to both questions, according to Dr. Barker, is no. His study found that digital technologies and the Internet were associated with sharply reduced demand, prices and sales, and consequently, to lower investment and employment. Globally, music sales fell about 70% in real terms between 1999 and 2013. In Canada from 1997-2015, music revenues fell to 20 percent of what they would have been had they kept pace with inflation and real GDP growth – a modest expectation, to say the least. This resulted in a cumulative revenue gap of over 12 and-a-half billion dollars. Put another way, over 12 and-a-half billion dollars that would have gone to artists and rights holders simply disappeared. Most remarkably, this happened at a time when music consumption rose to record levels. As music was gaining in value and use to the consumer, its value to the creator was going into sharp decline. At least for musicians, a key component of the social contract was that while the market for the sale of music might decline, new and different income sources would arise. Infamously, this came to be associated with the idea that touring and merchandise income would supplant the sale of music products. It has not. If there is a Golden Age, it has eluded a new generation of musicians. It comes as no surprise then that, in 2011, the average artist in Canada earned about $7,200 per year from music-related activities, according to a 2013 study conducted for the Canadian Independent Music Association. This reflects the sharp erosion of the ability of artists, especially young ones struggling to build a career, to earn a living from their creative work. As alternative income sources failed to appear, a new and offensive concept has appeared: the idea that creators have an inner compulsion to create, and that remuneration is not integral to the creative impulse – an idea which reached its nadir in Amanda Palmer’s remark that musicians would be happy to perform with her for “beer and hugs”. Musicians aren’t the only creators feeling the pinch. According to a 2015 survey by the Writers’ Union of Canada authors are earning 27% less from their craft than they did in 1998, after taking inflation into account. The survey also found that median net income from writing was less than $5,000 and the average income was about $12,900 – far below the average Canadian income of $49,000. More than 80% of writers earn an income from their writing that is below the poverty line! Creators belong on this list as well – as its charter members, I would argue. I have heard corporate executives and government policy makers discuss the “gig economy” in almost breathless terms – and invariably the people extolling its virtues have full time jobs with benefits and pensions. They have no IDEA how desperate life in the gig economy can be. Musicians know. All of this is taking place in an environment in which music is generating fabulous amounts of money. It is just that, as Gurry points out, very little of it seems to be finding its way on to the creators’ side of the ledger. Part of the problem has to do with how people are consuming music online. There are two principal methods – subscription and ad-supported. It is the latter – ad-supported, on-demand music services such as YouTube and SoundCloud – that have driven most of the increase in digital music consumption – largely because they are free to the consumer. According to a recent study by the IFPI, the problem is that those services deliver far less revenue than paid services. A subscription service, such as Spotify for example, returned $18 (US) a year per consumer in 2014 – compared to YouTube’s $1. Ad-supported services, with more than 13 times more users than paid services, delivered less than one-third as much money to artists and other rights holders. The effect of this gaping disparity is that overall digital music revenue growth has lagged far behind consumption. So where to from here? What can be done to restore the creative middle class and level the playing field? As I noted when I began, we are fortunate in Canada to live in a well-functioning social democracy. We can make choices about the type of society we live in, and collectively, through our political representatives, we can take action. This year in Europe and the US, thousands of artists have petitioned their governments to address the value gap and rebalance the rules. Expect more of the same, very soon, in Canada. Well for a start, any approach to the problem should be holistic and multijurisdictional. Music Canada has been aggressively opening new channels to do this. For example, we have been taking the message to municipalities that they can implement simple, straightforward local policies to improve the business environment for creators and the businesses that support them. Music Canada identified these options in a 2015 report, The Mastering of a Music City. The report has gone viral all over the world. The idea of local governments creating music cities and mayors running on pro music platforms would have been ridiculous just a few years ago. Yet today, in Canada alone, nine municipalities of various sizes across the country have Music City strategies in place. And more are coming. Municipalities are taking these steps because they now understand that the benefits are worth the effort. For example: job creation, economic growth, tourism development, city brand building, artistic and cultural growth. Perhaps most importantly, strong music scenes have also been proven to attract other business investment along with talented young workers who put a high value on quality of life, no matter what their profession. At the provincial level, Ontario and BC are trailblazers having created music-friendly programs that are almost unique in the world. Both provinces have dedicated substantial music financial resources and have created music-friendly policies such as the BC’s red tape reduction strategy that is designed to supercharge the live music economy. 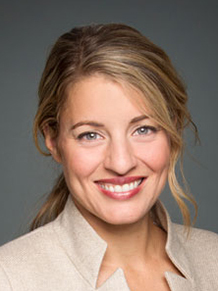 For her part, Minister Joly has been crisscrossing the country, asking people to think big, to be ambitious and to step outside the box; these are her exact words. So let’s do that – let’s think big. How can the federal government get involved? How can it innovate and, like Ontario and BC, blaze a new trail? The government has made it clear that it wants a new toolkit to confront the challenges facing Canada’s creators and that it seeks a new social contract for creators. This comes after almost two decades of federal government policy-making that has almost exclusively favoured the user community. A favoured rubric of the previous Conservative government was that creators and the creative sector would have to take “water in their wine” if they wanted any change at all to the copyright framework. By the time the wine was finished being watered, it bore little resemblance to wine at all. This one is simple. End all the cross-subsidies paid by creators. Now. The businesses that benefit from these cross-subsidies have become wealthy beyond imagination over the years. The goal initially was to get them off the ground. Job done. The creative community has been making its contribution for two decades. It’s payback time. First, I’d like to applaud the federal government on signing the CETA agreement with the European Union. This treaty contains provisions that will encourage the creation of intellectual property assets. The production of these assets results in a double dividend for our country: firstly they are material assets, which are owned by Canadians and are exportable, and secondly they are cultural assets which allow us to tell our story to the world. More of this please! Second, I note that Ontario, BC and municipalities across Canada are all designing policies to attract foreign direct investment in the domestic music economy. The federal government would do well to heed those examples, and pitch in with supportive policies of its own. Third, Canada is home to one of the most vibrant live music scenes in the world. Provinces and municipalities are awake to the music tourism opportunities this presents. This is an easy one Ottawa: tell the rest of the world what a brilliant destination we are for music tourism; market music! Brand Canada as one of the greatest live music scenes in the world, and brag about it! First, Canada currently boasts an enviable system of programme funding for music. But that funding needs to keep pace with inflation as well as the changing realities of the marketplace and creators’ lives. I have repeatedly urged the government to pay attention to how the lives of creators have changed. For example, in a globalized market, developing export opportunities is critical for them. So? Spend money on the Trade Routes programme – a LOT of money; earmark some of it for music. Next, artists’ incomes have cratered. What could that mean? Well, how about the fact they can’t afford homes. Housing affordability has become an increasingly urgent issue for them. The federal government should seriously examine this issue in the context of cultural infrastructure. And by the way, Ontario? Get with that as well … cultural infrastructure has to be part of your infrastructure spending. Finally, musicians used to be surrounded by a plethora of enablers and supporters. They are gone with the ecosystem, gone with the money. Musicians are now more often than not micro businesses, sole proprietors and individual entrepreneurs. Has any thought been given to a programme that would fund skills and entrepreneurial training? This is actually an initiative in which municipalities could also play a large part. Here, the federal government has already taken positive steps such as increasing funding for the CBC and the Canada Council for the Arts. During her recent consultations, Minister Joly made the point that the government is looking to go in new and bigger directions. She looked back to eras in which the CBC, the CRTC and the Canada Council had been created. But before we create something new, let’s fix something old. One institution that needs to be reimagined and reinvented for the digital era is the Copyright Board of Canada. The Senate of Canada itself is conducting hearings into the operation of the Board – that is how serious the problem has become. The government needs to turn it into a true business development office for the creative and user communities. As for something new, here’s a really big idea. Right across the country music education is in jeopardy; frankly it is under assault. Increasingly, the students with access to music education are from more affluent families. Inner city youth, remote, rural and indigenous communities are getting shut out. But it is not just music, it is the liberal arts in general that are at risk. We need to reconnect our young people with the importance of a liberal arts education, with the importance of creativity. One of the things we’ve seen is an erosion of respect for the creative process. Rebuilding respect for the humanities will assist us in rebuilding our shattered framework. Someone who has done an enormous amount of thinking about this, and who sees the value of humanities is Charles Fadel. An example of the type of work he and his Center for Curriculum Redesign have been doing can be found here. Today it is all to common to attend conferences on innovation at which the topics of culture and the humanities are literally never raised; instead the four-headed god of STEM is worshiped with a fervour the catholic church can only wish to entertain from its adherents. If Science, then why not Humanities? I urge the Department of Heritage to convene an expert panel to consider this issue. I urge them to go further than simple funding a charitable endeavour to promote the humanities to our youth, I urge the government to establish a permanent National Humanities Council. I will offer a coda at this point. One of the questions being asked by the Minister of Heritage is “how can we (I assume she means both the people of Canada and the government) use content to promote a strong democracy?” This got me thinking about the intimate connection, throughout history, between creators and democracy. Poets, film-makers, and novelists have always played an essential role in the fight for democracy and civil rights. Here in Canada we have an immediate example at hand, Gord Downie’s The Secret Path. But to his name we can add Pete Seeger, Alexander Solzhenitsyn, Vaclav Havel, Billie Holiday, Nina Simone, Percy Bysshe Shelley, Fela Kuti and many, many more. These are all people who were banned, exiled or jailed for their fight for justice and democratic principles. It is instructive, is it not, that after the revolution in Czechoslovakia, the people turned not to a strongman but to a playwright. A playwright whose velvet revolution had been powered by illicit tapes of Lou Reed’s band, The Velvet Underground. You can read the story here. As you may have heard when you entered the room, our background music was a selection of protest songs. That has been one of music’s great contributions to our world: music and protest anthems have been associated with just about every social change for decades. I’ve put a Spotify playlist of protest songs together that you can find here. BUY SOME OF THESE SONGS!! Creators are truly, as Shelley famously said, “the unacknowledged legislators of the world.” Now, when he says they are legislators, he doesn’t mean they’re lawyers, he doesn’t mean they’re necessarily politicians. What I think he is saying is that creators predict our future, they underpin our future, and they create a framework (political AND cultural) for our future. To the extent we allow these voices to be in any way compromised or marginalized, our democracy will suffer a great loss. Should we just “get used” to the way things are? Some of our politicians and virtually the entire techno-utopian community are saying so. Why? Why should we get used to the way things are? The citizens who opposed the brutal child labour regimes of the 1st Industrial Revolution did not “get used to” those conditions – they fought to change them – and they did change them. They changed the world for the better. We’re are in the midst of what some are calling the 4th Industrial Revolution. And while it has ushered in great boons, just the way the 1st Industrial Revolution did, so too it is ushering in banes. Mary and Percy Shelley fully understood this when they wrote Frankenstein. They understood that the unmediated introduction of new technology into world cancreate monsters. But it does not need to, not if technology is accountable to the people – all the people. The members of the modern technological “precariat” are also objecting to the circumstances of their lives. And I warrant they will fight to change them. As I said at the outset, in a social democracy we do not have to get “used to it”. We have the right to decide what sort of world we live in. So my answer to the Minister’s question is this: If you want a stronger democracy that is less vulnerable to special interests, that distributes wealth equitably, then do everything in your power to restore balance to the world in which our creators live. Encourage and enable them. Our creators are not living in a golden age. That was the promise but they didn’t get their golden age. The promise was broken. We owe it to them. And we owe it to them now. We would do well to remember that the fight for democracy and justice has always had a soundtrack. Graham Henderson is the President of Music Canada. He also writes on an eclectic range of topics on his personal blog at www.grahamhenderson.ca. Sylvie Forbin has been appointed Deputy Director General, Copyright and Creative Industries Sector at the World Intellectual Property Organization (WIPO) by Director General Francis Gurry. WIPO received a total of 301 applications for the position, and just over a quarter were submitted by women candidates. Applications also varied geographically, coming from candidates in Africa, Asia and the Pacific, Europe, Latin America and the Caribbean, the Middle East, and North America. According to a WIPO release, six candidates were invited for a one-day in-depth interview and assessment, and all six candidates also met with Director General Francis Gurry to evaluate their technical expertise in March of 2016. The term of office for Sylvie Forbin is proposed to begin September 18, 2016, and expire September 30, 2020. Ms. Forbin is a national of France, and brings extensive experience in copyright, especially music copyright, having served as the General Manager of Eureka Audiovisual in Brussels, and most recently as Senior Vice President for Public and European Affairs at VIVENDI in Paris. She is also a veteran diplomat with experience as Vice Cultural Counsellor at the French Embassy in Rome, Counsellor at the Permanent Representation of France to the European Union and Head of Communications and Press Services at the French Embassy in Beijing. Music Canada would like to congratulate Sylvie Forbin on her appointment, and wish her success in this important role. An historic agreement has been reached between Re:Sound Music Licensing Company and SoundExchange to ensure that Canadian rights holders receive royalties from US uses of their work licensed by SoundExchange. The agreement covers all Canadian rights holders signed to AVLA, ACTRA, Artisti, MROC, and SOPROQ. The first distribution to rights holders will occur in 2013. Bilateral agreements of this kind are an important source of future revenue. Hopefully, this is the first of many agreements of its kind with countries around the world who are signatories of the WIPO Performances and Phonograms Treaty (WPPT).